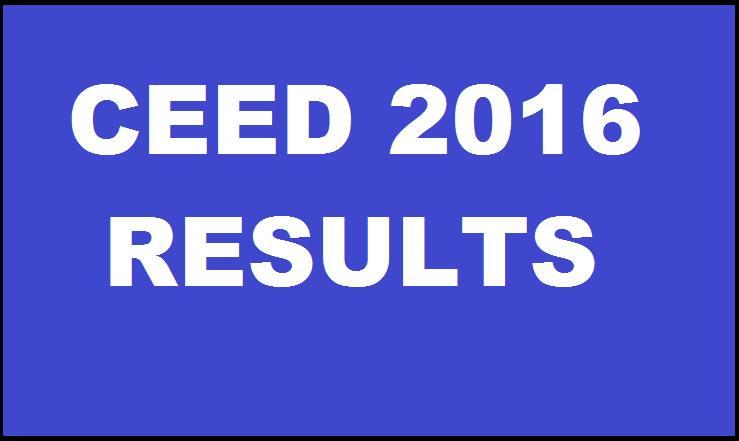 CEED 2016 Results : The Indian Institute of Management Bombay (IIT Bombay) conducted the Common Entrance Examination for Design (CEED) on 6th December 2015. A huge number of candidates who are looking for the admissions into design courses applied and appeared for the exam which was held across various examination centers. Candidates who had written the exam are eagerly waiting for the results. Now, the wait is over. IIT Bombay declared results. Aspirants can check the results from the official website or from the direct link provided below now and download the score cards from 22nd January 2016. Common Entrance Examination for Design (CEED) is an all India examination conducted by IIT Bombay on behalf of the Ministry of Human Resources Development, Government of India. The objective of CEED is to assess the candidate’s aptitude for design, involving visual perception ability, drawing skills, logical reasoning, creativity and communication skills. . It is a descriptive test covering a student’s logical, creative, observation and drawing skills, tested in particular for admission to various design courses in the field of Product Design, Industrial Design, Visual Communication, Animation Graphic and, Vehicle Design and Mobility. This year it has released the notification and conducted the examination. Aspirants who had appeared can check the results from the official website. IIT invited online applications for admissions into various design courses. All the eligible and interested candidates applied and appeared for the exam. Aspirants who had appeared can check the results from the direct link provided below. Also, candidates can download the score cards here from 22nd January 2016. Candidates who had qualified will eligible for the admissions into design courses. Stay tuned to this website. Here we will update CEED 2016 score cards, merit list etc. Press CTRL+D to bookmark this page for easy navigation.